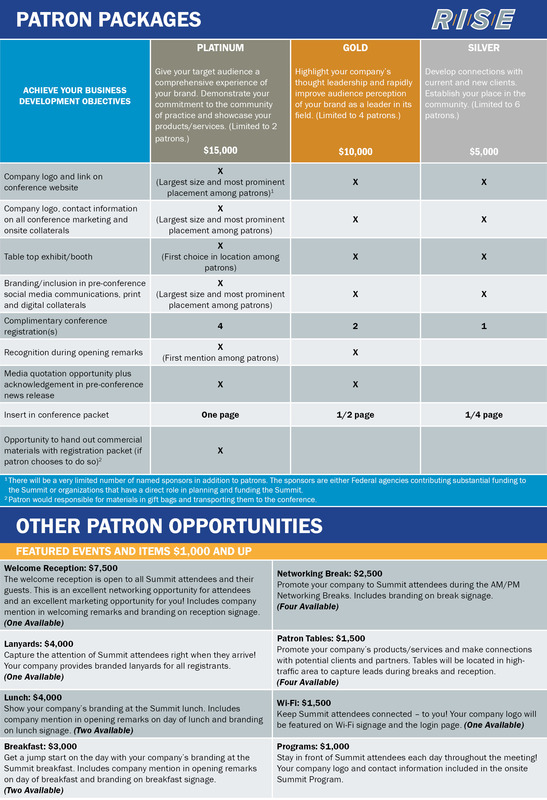 Patron package selection is available through the Registration portal. Click Register, enter your contact information, and select Patronage from the Registration Type drop-down menu. Packages will be available for selection after additional contact information is entered. For assistance or questions, please contact Lee Mueller, lee@opp-llc.com.